Upper: Closed type spacer mesh, synthetic leather, welded and 3D fit print overlays. Midsole: Tri-density foam, heel and forefoot Gel based DNA cushioning. Widths available: B-narrow, D-standard (reviewed), 2E-wide, 4E-extra wide. All these widths available only in the White/Electric Blue colorway. For $120, the Brooks Adrenaline GTS 14 packs a lot of goodness. Like a plush upper fit and cushioned ride, with support features seamlessly blended in. Highly recommended. 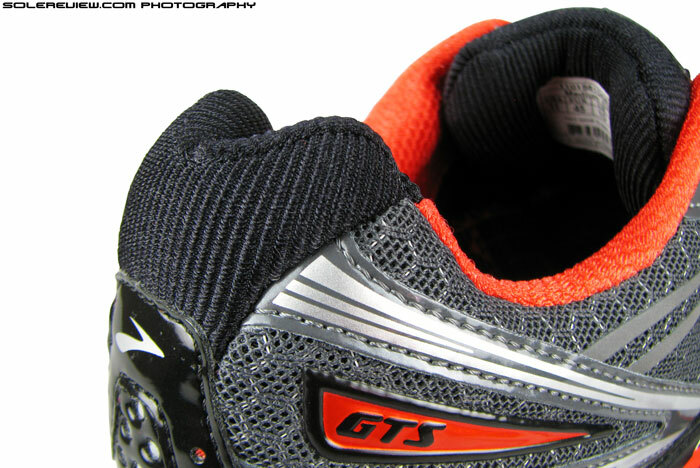 Trivia: GTS sounds like a misspelled version of GTX (GoreTex), but it actually means ‘Go-to-shoe’. In a short span of time, we’ve quickly grown fond of the Brooks Adrenaline GTS 14, similar to how we felt about the Glycerin 10 and Ghost 6. During many years of a particular model’s existence, there comes a time when the stars align perfectly together – creating a shoe which truly personifies the term ‘sweet spot’. Something which mixes in all the elements it’s supposed to have, doing so with the perfect balance of a champion Gymnast. 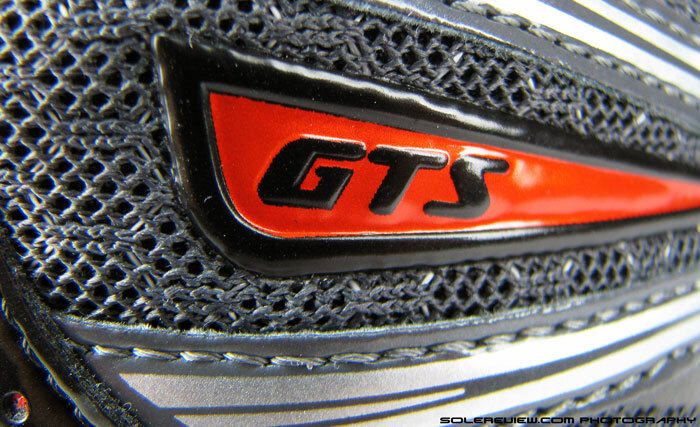 We’re sure you already know what the GTS in the shoe name stands for in its expanded form. Brooks is always up for some clever, tongue-in-cheek wordplay, suffixing the Adrenaline name with a ‘Go-To-Shoe’ acronym. The Adrenaline GTS 14 is motion control/support running shoe which delivers on all fronts. And in GTS 14’s example, the latter embodies a literal translation of those words. Because the Adrenaline is so good – and we have a feeling we’re going to miss it soon. Later this Holiday season, the sun will set on the GTS 14, and a new offspring will take its place. We know what changes are afoot on the GTS 15, and that’s more the reason why we’ll be sad to see the 14 go. It’s like this amazing summer vacation you never wanted to end, knowing that once you pack the bags on the last day, things will be different from tomorrow. You might not have experienced the future yet, but your vision of it is accompanied with palpable apprehension. Has an old school, multi-density midsole aesthetic. At the same time, the upper uses some of the new technologies like 3D Fit Print. What are we going to miss? To begin with, the Adrenaline GTS 14 is a shoe which retails at $120 but looks and feels every dollar worth of a $150 price tag. Its plush upper is a mix of old and new, and in a good way. It employs age-tested, old school techniques of building a shoe upper, which delivers on multiple fronts, be it plushness, fit and aesthetic appeal. The midsole and outsole is a familiar sight of multiple density foams and rubber cladding, which functionally comes together to deliver a disgustingly smooth ride. On the other hand, the upper takes some of the new stuff which Brooks is using nowadays, and blends it well with the overall design. 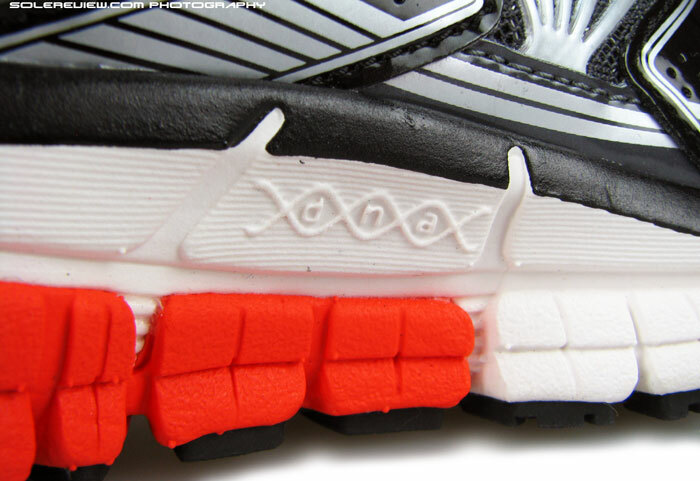 Like the use of 3D Fit Print overlays, which is deployed abundantly on the Glycerin 12. Collar has visible foam padding right till where the tongue ends. The mesh used in collar is soft to touch, reeks of premiumness. The Adrenaline GTS 14 upper is a veritable swatch-book of premium materials and construction detail, putting in all what’s good and leaving out undesirables. Slipping into a pair makes you realize how soft the foam padded collar feels. 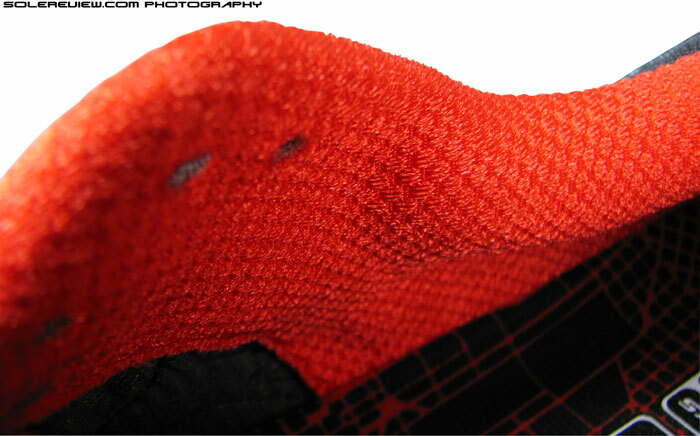 The fabric is super plush and smooth to the touch, with two types of meshes securing the ankle. There’s a separate section of softness lining up against the Achilles, which bends together with the motion of your foot. Rest of the collar closes in comfortably on each side, ending where the curved lip of the tongue takes over. None of this takes away the collar’s functional goal; grip feels snug, helped by an internal heel counter which lends a sensation of solidity and structure around the lower area of the heel. Tongue lip is thoughtfully curved out for non-interfering snugness. There’s a small loop which keeps tongue slide in check. Stretch it flat, and the text ‘Tongue Tied’ becomes legible. Tongue adds to the overall sense of softness, using the same mesh used on the Achilles area. Its design also points out the well-thought-of execution; top of the tongue has an inwards flare built in, which means the curve cups the foot without getting in its movement. We do wish the tongue was gusseted and seamed in with the upper, but a small Brooks workaround puts tongue slide to stop, keeping it centered overfoot. You’ll recognize the small loop stitched into the upper area of the tongue; the second last row of lacing passes through this and locks the offending component in place. Brooks also tends to put in some Easter eggs every now and then on their models, and this small tongue loop throws up one too. Flatten the woven loop, and there appears a text which says ‘tongue tied’. Touche. TPU welds/sheets in the midfoot helps improve fit. Flat strap based eyelets keep lacing flush, distributing top down pressure evenly. There might not be an inner sleeve, but that doesn’t get in the way of superlative midfoot grip. Either side of upper midsection is covered with TPU; the outer side has welded fingers running vertically, and the inner face has a glossy sheet of synthetic. 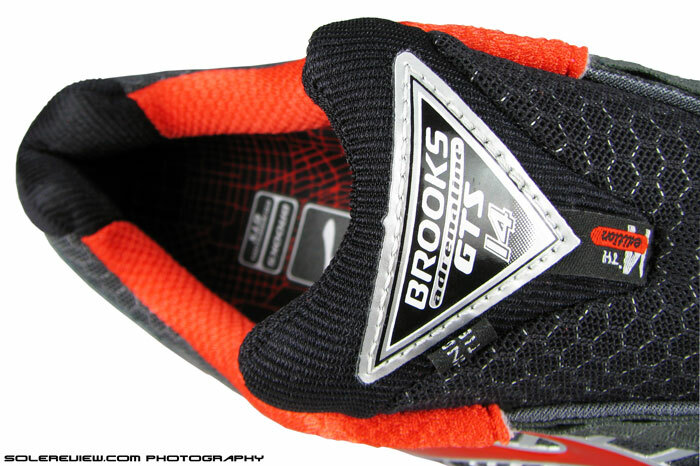 The Brooks logos serve both as cosmetic and functional props, integrating into the midfoot saddle. The lacing design also helps build up snugness; there are synthetic leather panels on the first and last few rows of eyelets but three rows in the center are left uncovered. 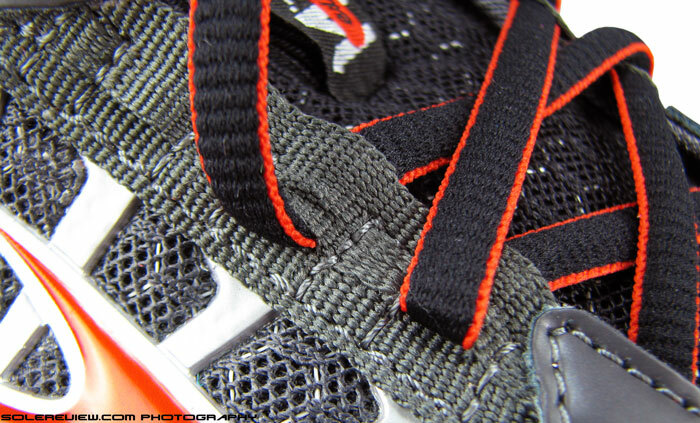 That area is made using two layers of flat straps, and the laces pass between them. This results in the laces sitting flush over the tongue, pressing down with consistent pressure and locking down the side TPU panels at the same time. The laces feel premium in their tubular sponginess, with some amount of stretch built into its knit structure. The shoe feels just right when the last eyelet is left un-threaded. You can go ahead and do that, and you’ll sense better grip but find the remaining lace length slightly shorter than ideal. Upper is a combination of honeycomb textured flat mesh, synthetic overlays and ‘3D Fit Print’ overlays – which is basically high density printing. The use of 3D print on heel results in aesthetic slimness. Forefoot sees plenty of layering. 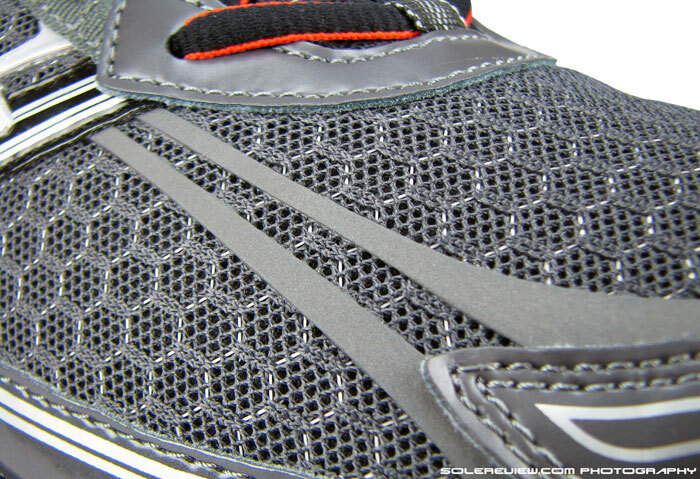 The base is a flat, honeycomb textured spacer mesh which is used throughout the shoe. Materials on top include conventional synthetic leather panels, and a few rows of high density printing which Brooks calls 3D Fit Print. If this sounds familiar, that’s because the recent Glycerin 12 makes use of it too, in a much more widespread manner. In the Adrenaline these printed layers also cover a good portion of the heel, making the design look compact. Snug fit without constriction. Runs a little warmer due to the nature of materials used. So it comes as a slight bit of surprise that while Adrenaline fits true to size, the forefoot doesn’t feel tight or narrow, even with all these layers. Two panels of leather run on both sides of forefoot, and there is still room for the forefoot to splay. The height of toe box will accommodate most foot sizes, though it tends to be a bit slim just above the big toe fingernail. This was our experience with a ‘D’ width, and should you seek a different level of fit, 2E (wide), B (narrow) and 4E(extra wide) widths are available in the Adrenaline. Regardless, this Brooks shoe runs a little toasty, as ventilation is hampered by liberal use of closed meshes, overlays and what not. The relatively softer crash pad on the lateral side. You know, firm on the inside, soft on the lateral side, keeps the foot from rolling in, all that footwear science. This is a throwback to the 1980’s. Called combination lasted, this type of Strobel construction uses a cellulose (cardboard in English) in the back and foam or fabric in the front. Look closely at the hole, and you’ll see a glimpse of the DNA gel pad. Mid to forefoot is soft foam Strobel. There’s a DNA gel pad in there somewhere. There’s an artsy piece of footbed over the midsole. Cushy and molded too. 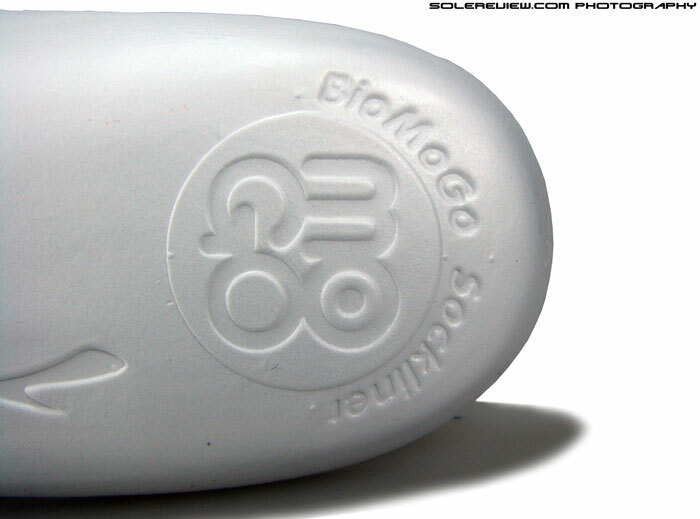 Biomogo is Brook’s material which is landfill friendly. The GTS’s headlining act is its multi-density, combination lasted sole, which is the secret sauce behind the impressive ride quality. But first appearances can be deceptive, for how the Adrenaline looks has little to do with how it behaves during runs. 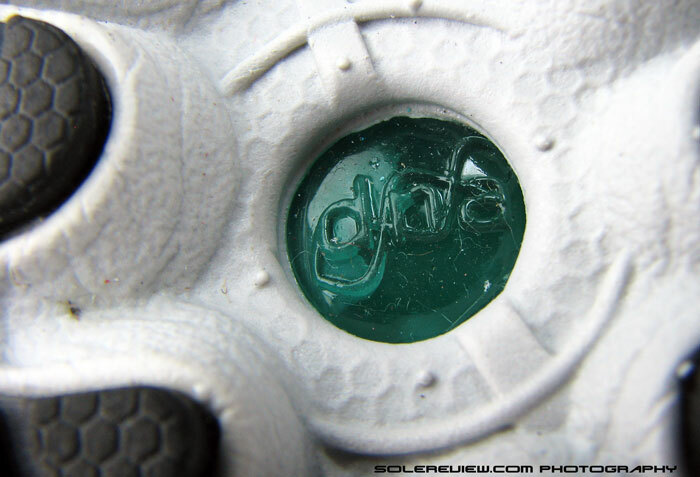 Visually, the midsole has hardness stamped all over it. Turn the shoe toward the arch side, and the firmer (grey) part of the midsole sticks out as a prominent feature. The orange crash pad on other side doesn’t seem to have much give as you try to squeeze the midsole between the thumb and index finger. The removable footbed (insole) might be plush and heavily contoured, but beneath that is a combination lasted strobel board, one which combines part cellulose board (rear), part EVA (front). All of this adds to the notion that the Adrenaline might ride very firm. A DNA gel window. This is unique in the sense that the material responds to pressure, firming up during runs and softer during walks. Midsole flare on the softer side keeps the foot from rolling in too much. But it doesn’t. Landing your entire bodyweight on the shoe is way different than trying to squeeze the foam with your fingers, which amounts to little. All that perception of visual intimidation disappears once you run in them. 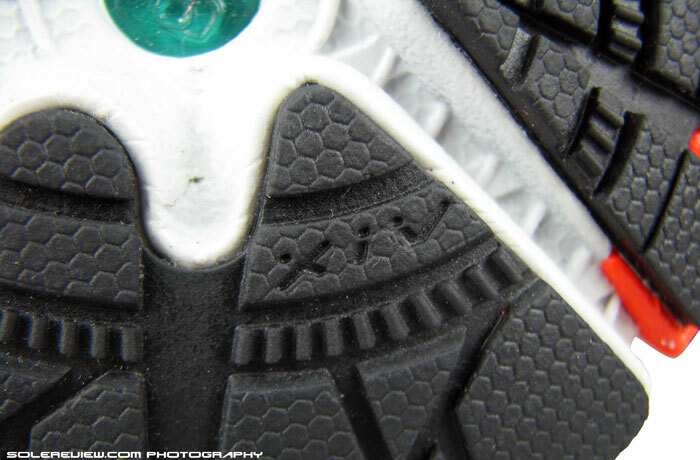 What you don’t see from the outside is the presence of heel and forefoot DNA gel pads, sitting inside the midsole. Brooks Gel DNA is unique in the sense that its compound adapts to foot strike pressure (these are called non-Newtonian fluids), so when you’re walking around in the Adrenaline, the cushioning feels semi-soft. Crank up the speed, and that transforms into a firmer, yet padded ride. Though the Adrenaline is a motion control shoe designed to correct your gait (reduce inward roll-ins), it does so without sacrificing stability or cushioning. 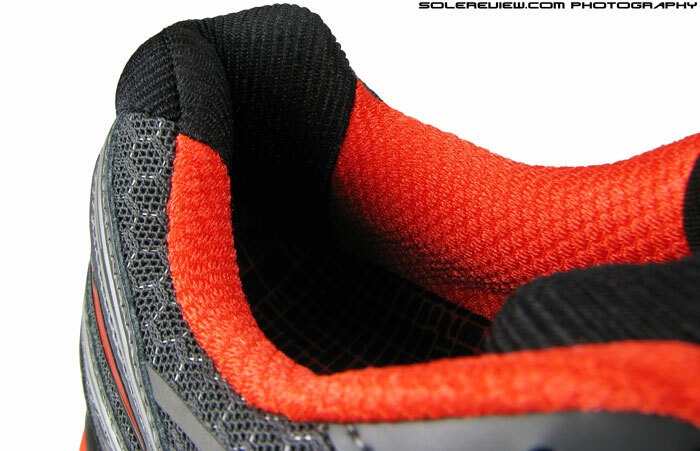 The lateral crash pad (orange) is softer and increases the heel-strike bias to the outer side, but there’s this huge midsole flare which catches the foot from over-rolling. 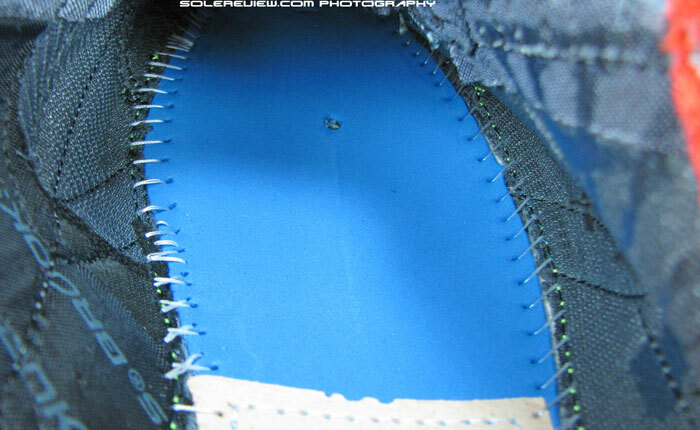 Near full rubber coverage of outsole, except the area under arch. Transition is great, the ride smooth. Soft, hence sticky rubber. Realtively flexible in the forefoot too. The DNA layout isn’t full length (we know because we slit the midfoot open) but the overall ride is extremely smooth. 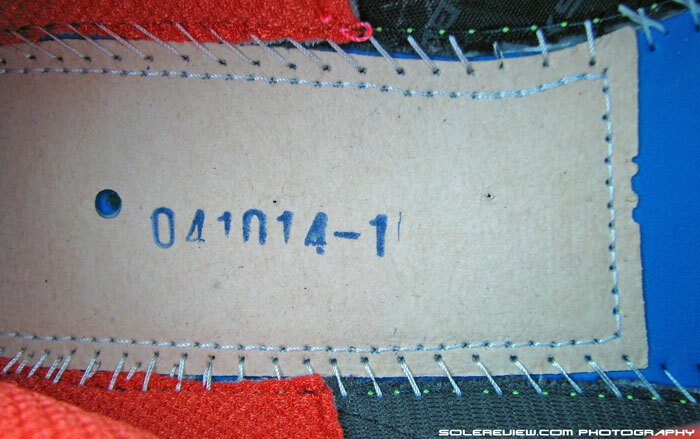 The outsole coverage is near continuous, except for the gap under the arch area. Heel to forefoot outsole contact results in an equally consistent weight transfer, making transitions come across as seamless. The Adrenaline’s heel isn’t as angled up, so rear-foot strikes will happen fairly early stage. 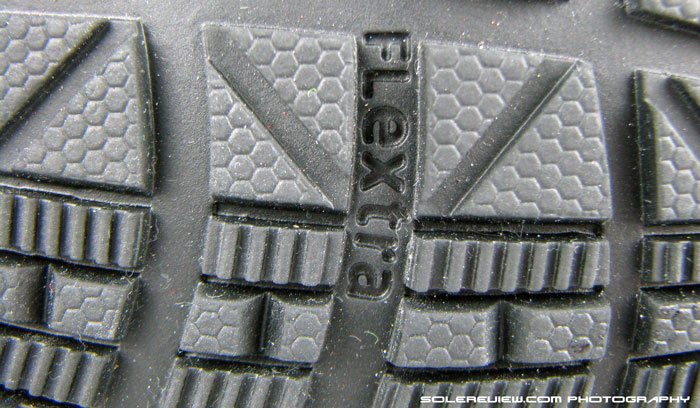 The rubber is soft so it sticks to the ground extremely well, although durability levels seem to take a knock. And for a shoe which looks that bulky (at least aesthetically), it is flexible and within weight limits for that category. Forefoot strikers, if they happen to run in the Adrenaline, will find that the front is sufficiently planted, with great grip and noticeable padding to boot. Surely, there must be something to nitpick on? Alright then, there’re a few teeny weeny ones which do nothing to marr the overall stellar perception of Adrenaline. 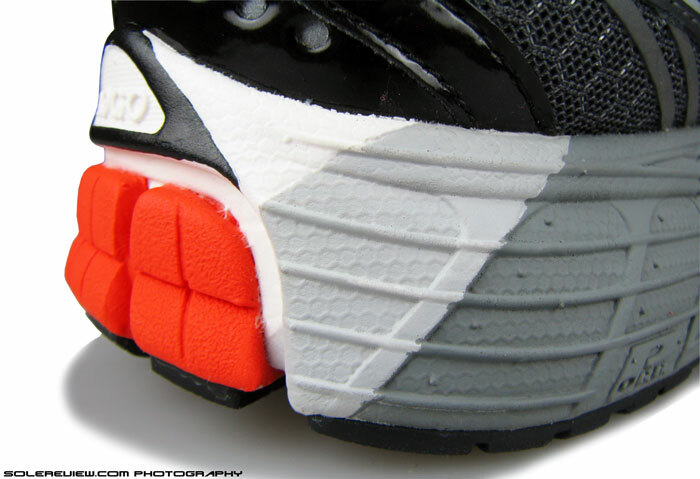 On the lateral side of big toe, there’s a seam right at the point where the 3D Fit print and toe cap meet. It’s not irritating or anything like that, but you know it’s there. Then there’s this matter of night time reflectivity, an area in which the GTS doesn’t fare so well. There’s some of the heel and a tiny smudge on the toe box, but other than that, you’re left to fend for yourself during times when the sun is busy on other side of the world. Durability is always talked about in a less favorable light when it comes to Brooks, and the Adrenaline doesn’t escape that. The outsole might be super sticky, but it isn’t long lasting. Rubber starts getting shredded in high wear areas just after a few runs, so higher mileage will produce a predictable outcome. 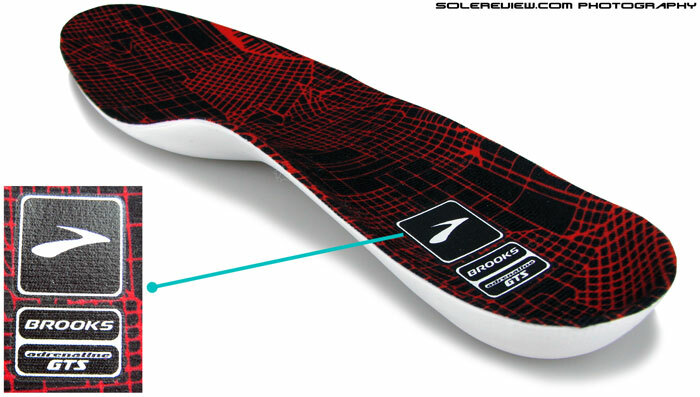 Lastly, for a motion control and ’support’ shoe, arch support could have been better from a midsole perspective. The upper is quite competent at medial midfoot support, but the midsole wall just points straight up, and does little to compliment the upper. We know that flared and filled up midsoles aren’t mere placebos; the Brooks Transcend shows how it’s done. 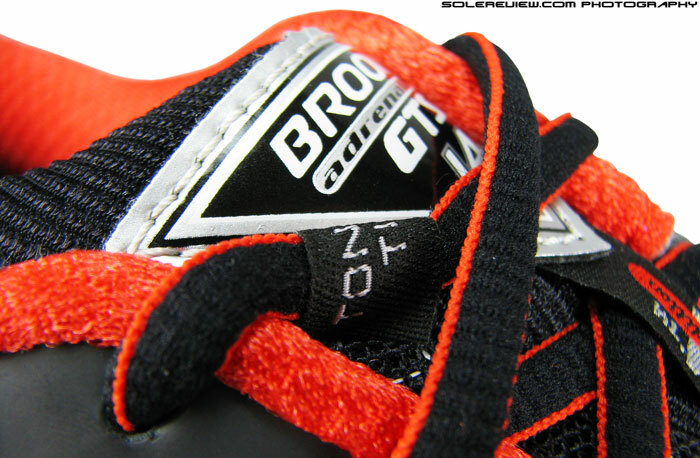 There’s no such thing as perfection, but the Brooks Adrenaline GTS 14 cuts it pretty close. If you’ve been wearing these and love them, we just have one advice – just hoard a few extra pairs. As far as the upcoming GTS 15 is concerned, a new chef’s in town. Good or bad, don’t know yet, but it’s sure going to taste different. Note on ratings: Our numeric scoring of 9/10 is based on a total of weighted averages. The attributes namely transition, stability and fit contribute to 69% of total scoring weight, which we see as more important than material (7%), cushioning (7%), traction (12%) and weight (5%). Hence the scores will not add up when simple average calculation is used. Great review, as usual. How about reviewing the recently re-released ASICS Gel-Foundation 8? Thanks! We’re in the process of catching up, so it’ll figure in our calendar at some point. There are two confirmed Asics reviews this month (Nimbus+Cumulus 16) and tentatively the Kayano 21 and GT 1000 3 by month end or first week October. And then we’re off to review some Mizuno, New Balance, Hoka and Puma shoes for a while. TYA for the awesome review! How would you compare the sole of this shoe to the Guide 7? Heel stability, structurally preventing rear foot pronation, is important. A soft flare where the upper meets the sole under the arch is also important. Tried on a pair at a LRS, they have the same annoying under arch pressure from the sidewall as the Brooks Trance did as well. Too bad, otherwise great feel. Sorry about the delayed reply. 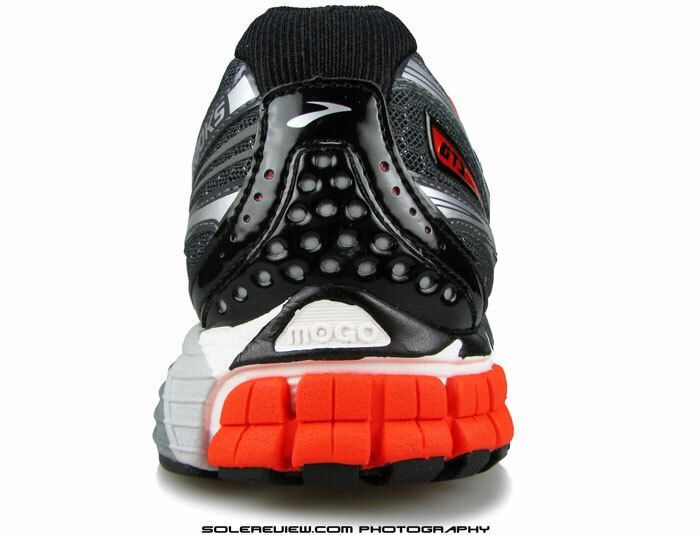 Yes, the Brooks GTS 14 midsole wall points upwards, as called out in the review. The Guide fares slightly better because of a greater flare than GTS. 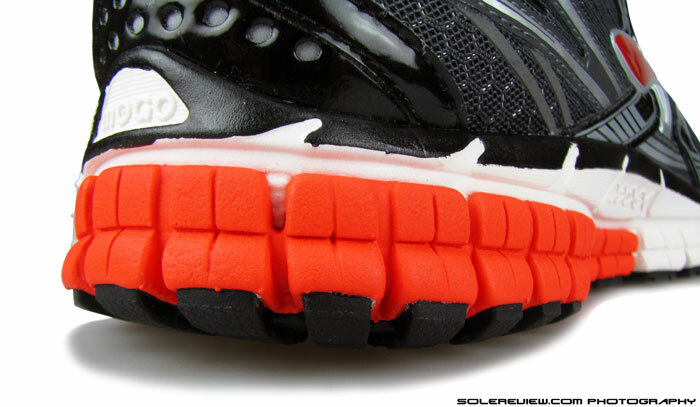 Otherwise, overall heel stability feels better on GTS, and pronation control on the Guide. 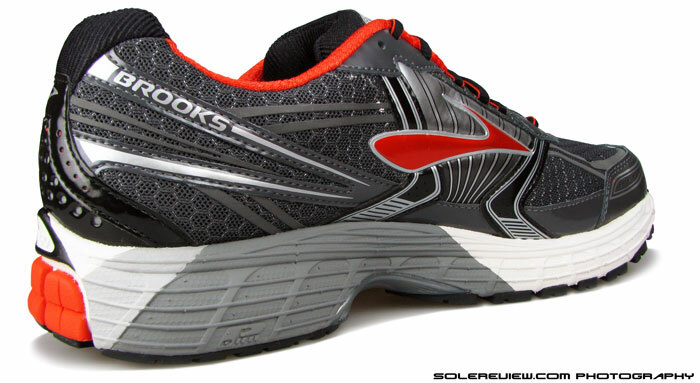 Is the brooks adrenaline gts a good choice for a heavier runner? I am 5’10” and 200 lbs. My shoes tend to wear pretty evenly. Yes, you could also try the heavier Brooks Beast 14, which is more supportive – though the trade-off is heavier weight of the shoe. 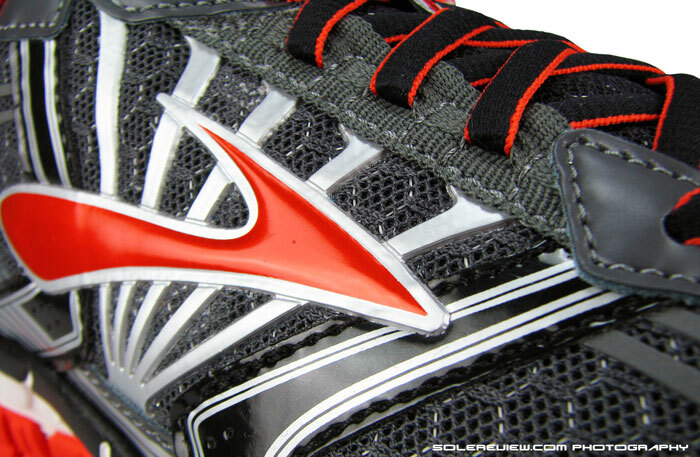 The Brooks Transcend is also worth looking into if the shallow upper fits you. 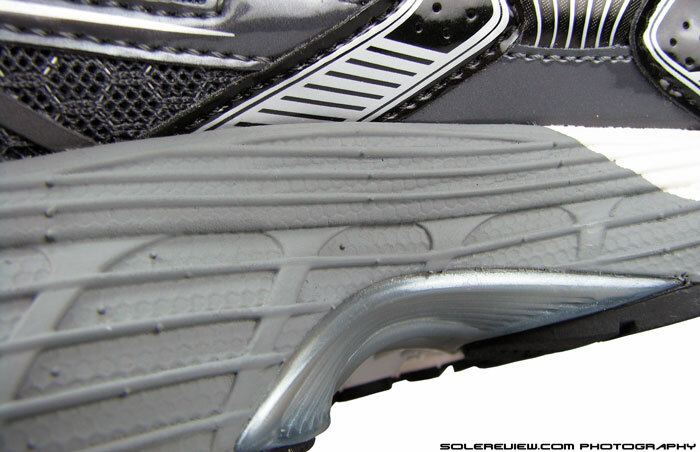 Outsole rubber on Brooks outsole generally tends to wear out a bit faster than other brands. Is the brooks adrenaline comfortable for High Arch and over pronate? Thx for yur reply.In your review, the highest rank is Pegasus 31, Adidas Energy boost 2.0 and GTS 14, which one is better for the kind of my legs? We’d pick the GTS 14 for its more supportive, yet cushioned ride. Your site offers so many helpful reviews with detailed explanations that it has become my and my friend’s go-to page before we buy running shoes. And bought them we have, especially with the increased training schedules for our first marathons next year. I need your help. I’m using both Brooks Adrenaline GTS 14 and Ravenna 5. They’re great, but on long runs, I develop this nagging pain on my knee, mostly on the outside. Since I’m a underpronator runner with a tendency for heel strike, though I’ve trained to land midfoot, what shoes would you recommend? I’m looking at the Hoka models and perhaps Lunarglides, but I’m lost in the available selections. Thank you for the kind words – we’ll keep doing what we do! If you are experiencing pain, hard to recommend (and would refrain from too) a shoe, because it might or might not be due to footwear. Were you able to get it checked? Also curious to know what’s your muscle conditioning regime like? Pain may be an incorrect term to describe the discomfort, as it goes away after I ice the knees for 30 minutes post-run. It is just irksome and forces me to rest a couple of days after my long runs. My muscle conditioning regime is non-existent, though I understand it may be my pelvis strength, or lack thereof, that causes the described symptom. Previously, I experienced shin splints when I started running in January. However, upon advice from a specialty store clerk, I used the Ravenna 5 and had no more shin splints. I recently focused more on midfoot, instead of my natural heel, strike, and the knee discomfort appeared. Looking forward to today’s Hoka Clifton review. We asked that question coming from on our experience. Because a running shoe wear-tester has to be in very good shape – considering switches from low drop to high drop, soft to firm, minimal to maximal shoes, sometimes during the course of a single day, the job comes with real hazards. That is why we focus on developing optimal muscular size, strength and elasticity to reduce load burdens on joints and overall skeletal system. That keeps our reviews coming! Too many information to absorb! I’m now running with a pair of Ascis Tarther which is light but my balls of foot start to feel a little bit uncomfortable now and then when running for more than 4-5km. That makes think maybe I need more cushion? or support? I’ve tried on Brooks Adrenaline GTS15 and Brooks Transcend which are all ok when walking. I’d like to know your opinion or would you recommend other shoes for me? FYI, I’m female, light weight, mild over pronation and 10-12km is the longest distance I ever tried. Hi, a happy new year to you too! We haven’t tested the Tarther, but you didn’t say whether the forefoot was tight or not. That could be one of the reasons behind your discomfort, other than a thin midsole which can potentially makes some of the road imperfections felt through. The Transcend is very comfortable, but has a super snug forefoot. GTS 15 is not as snug in the forefoot, but a little stiff. We’d think the Saucony Guide 8 or Ride 7 to be worth a try. I had the adrenaline 13s and the 15s irritate my patella. I know you haven’t released a review yet, but do you know what the cause of this could be? If so, could the 14s possibly fix the problem if I can’t find 13s in my size? Thank you so much! Your website is excellent. Not sure what’s causing the Patella pain – that said, the GTS 14 is a closer match to GTS 13 than 15 is, so there’s a chance it might help. The GTS 15 its different, no dna gel pad. As Glycerin 12 and ghost 7.
b) Removing it makes the shoe lighter. 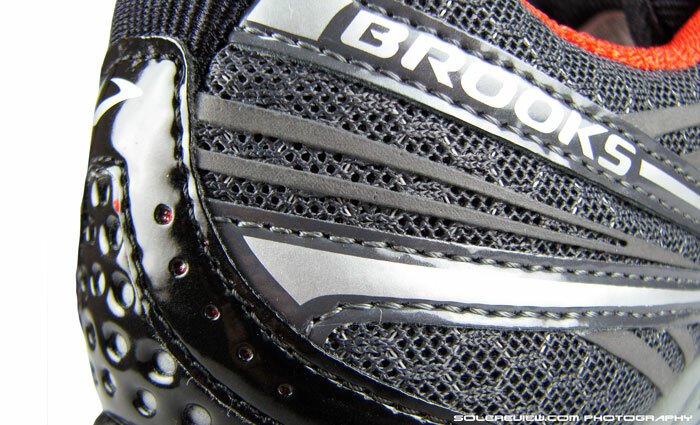 c) Many brands are moving away from cushioning inserts, so Brooks want to align with that trend. Do they fit smaller o tighter than the ghost 6 or the glycerin 11?? Not smaller, but slightly snugger in the forefoot than Ghost 6. Similar to Glycerin 11.
thanks, but sorry my english, what is snugger? The GTS 14 feels more supportive, if that’s what you wanted to know. I’m using the GTS13 for a while now and need them replaced. I think the GTS13 is an ideal shoe for me. I read somewhere on this site that the GTS14 resembles the GTS13, but that the GTS15 is slightly different. I have been looking online for a GTS14 in my size, but I couldn’t find a dutch site which sells them. So my question is, do you have any good alternatives that resemble the GTS13? Is the GTS15 a good replacement? Sorry, we don’t have miles on the GTS 13 so can’t offer an opinion. I would appreciate if you could find some time to reply to me mister solereview. We did below two day ago, did we not? You’re welcome. I’m not sure how I missed comment. Thanks! Hi, thanks for the comment! Happy to know that the GTS 14 worked for you – we have a high opinion of this model as well. After diligently perusing different reviews, I decided to go with the Brooks Beast 14 and I did not like running in them. They were too clunky, overly supportive and restrictive, not to mention heavy! So, I then took a shot on this shoe and fell in love on my first run. They are noticeably lighter then the Beast 14 and provided just the right amount of support. I’m already looking into a second pair. I have to thank you for the great review, it was really accurate and helped me very very much. Keep up the good work! Cheers! Happy to hear that the GTS worked for you, and that our review could help in some way. Thank you for sharing your feedback. your review so interesting, im heavier runner, 172cm 85kg. i have flat foot, is it good for me? Yes, worth a try. Also wear the Brooks Transcend and see if those work for you. This was a horrible shoe for me. I am an overpronator and weigh 29lbs overweight (5.4, 150lbs). This was the worst shoe I have had, before this i used Nike only, especially the Equalon. Nearly destroyed my knees even though I would run only 3 miles per week. That’s what makes buying running shoes so hard. Works for some, doesn’t for some. We thought that the GTS 14 was great.